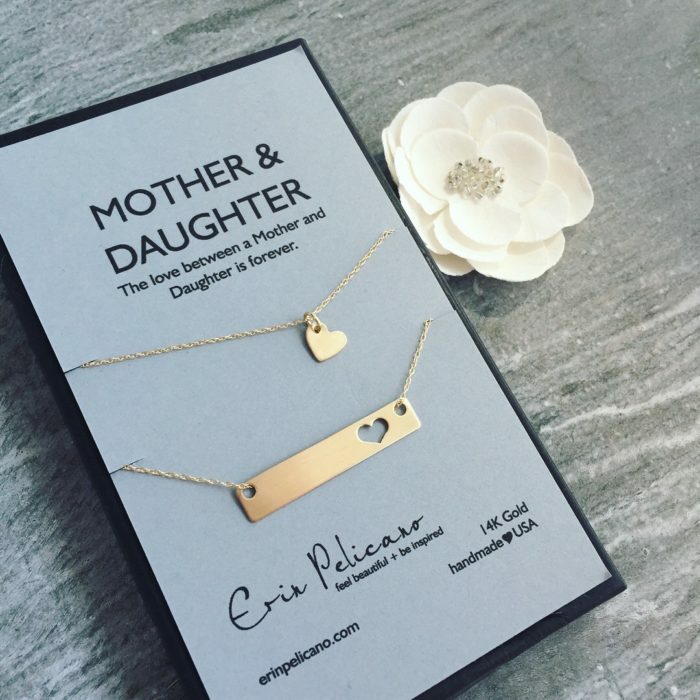 The mother’s necklace is a fine gold bar, approximately 1.25″ handcrafted with a single heart cut out, on an 18″ fine gold chain. 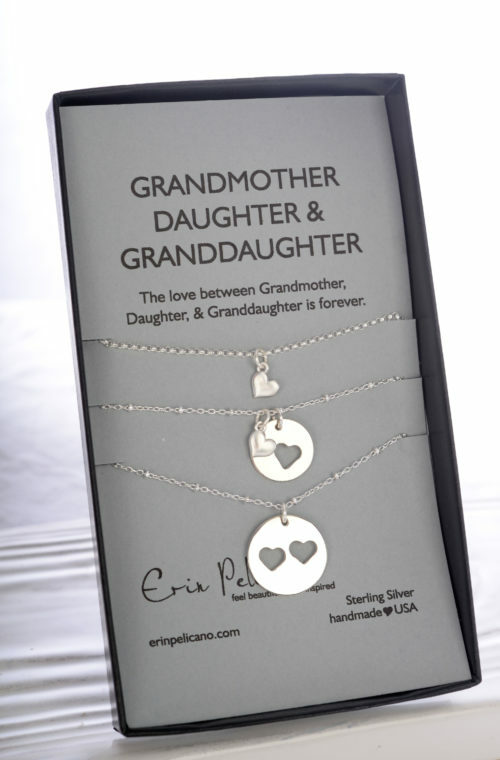 The daughter’s is the matching heart on a 16″ gold chain. 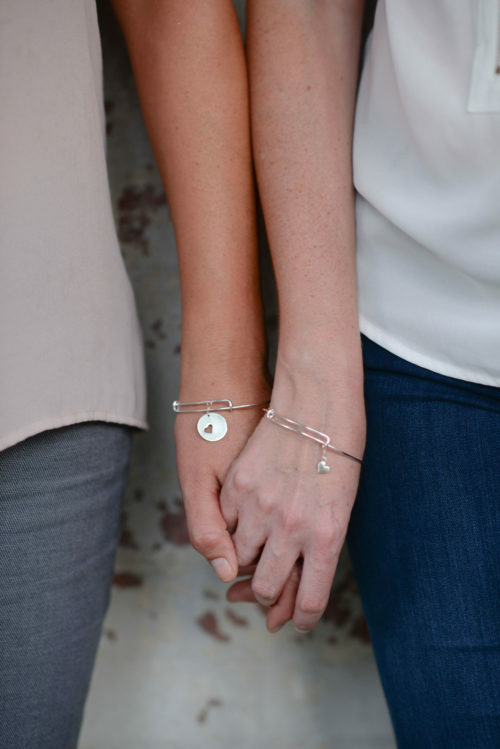 Presented on a Mother & Daughter card that reads, “The love between a Mother & Daughter is forever.” Also available for two or more daughters.